A small group of Parc-Extension residents protested in the office of the new owner of Hutchison Plaza, Thursday morning, after the landlord warned they would cut off water, gas, and electricity on Jan. 8, 2018. 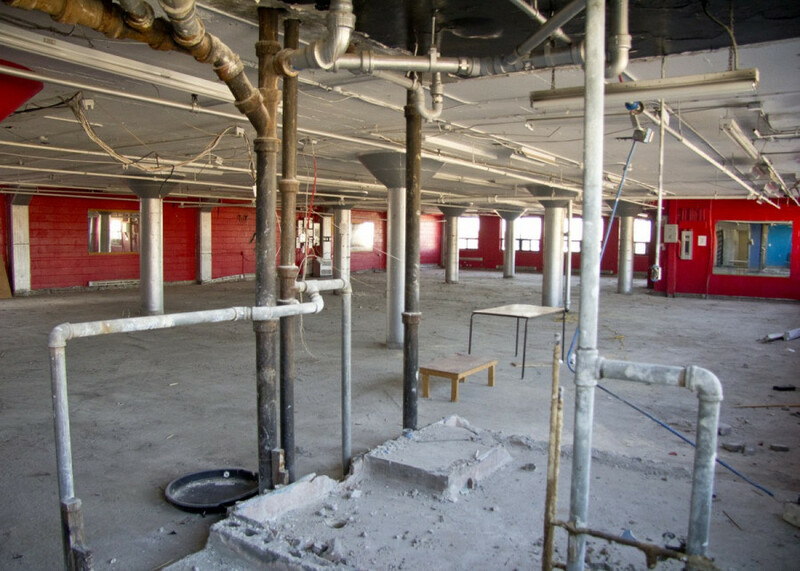 BSR Group, the Côte Saint-Luc-based real estate developer, sent the notices to the remaining commercial tenants of the once bustling multipurpose community building. The businesses said they received the letters Tuesday and Wednesday this week. “What you’re doing is illegal,” said protester and Parc-Extension resident Bernadette*. She, along with other residents, want Hutchison Plaza to remain a community service hub. For decades, the building on the corner of Hutchison St. and Ogilvy Ave. was home to community organizations, worship groups, a language school and small family-businesses. Hutchison Plaza is now nearly empty. The top three floors are gutted and none of the elevators work. He tugged the banner from the protesters and later kicked one of them out the door. He also smacked a camera off another protester’s hands. One employee pushed the activists while calling them BS, from the French “bien-être social,” often used to belittle people on welfare or used simply as an insult. BSR Group plans on turning Hutchison Plaza into a 70-unit luxury apartment complex with commercial space on the ground floor. “We want him to pull out of the project,” Bernadette said. Many residents reject the idea of having condos in the area and said it’ll lead to rising rent prices. He also said they plan on building more condos in the area of Parc-Extension. This week, he received the notice from the landlord that utilities would be shut off on Jan. 8. The first eviction notice Haque got was on Oct. 18. The notice said he had 32 days to vacate the space. Haque requested that BSR Group give him a six-month delay, as per his lease, to find a new location and to arrange for the transport of his walk-in fridge, freezers, and other equipment. Haque holds a commercial lease agreement with the previous property owner. The term began on June 1, 2016 and expires on May 31, 2019. He said he was never informed officially that Hutchison Plaza had been sold or of BSR Group’s claim that leases now run on a month-to-month basis. The building was registered under Baruch Basal on March 8, 2017, according to the Quebec’s business registry. 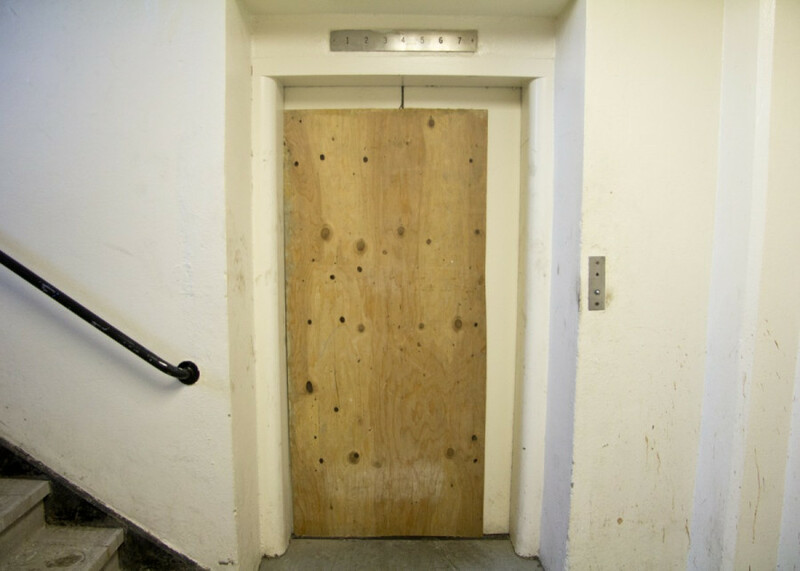 In March, the building’s freight elevator broke down due to a flood in the basement. For 22 years, Vathany Srikandrajah has been running her furniture store Sri Durca out of Hutchison Plaza. Now she plans on leaving at the end of the month. “There is no…” she finished by shaking her head. Since the freight elevator broke down, Srikandrajah has had to hire movers to bring furniture up and down the stairs—a costlier venture, she said. In June, contractors began gutting the third floor. They placed a construction container in the loading dock. Srikandrajah believed it made people think her second-floor business was closed. Aside from referrals, Srikandrajah benefited from walk-ins thanks to Hutchison Plaza facing the Parc Metro station exit. TC Media reported Montreal Police came twice on the scene to halt construction, since BSR Group was missing permits. They were given notices and fines. The first fine can be anywhere near the $1,000 range and the second fine could reach up to $2,800, according to city by-laws. BSR Group had no comment for The Link on that subject, but previously said that they were expecting the right construction permits from the city soon. 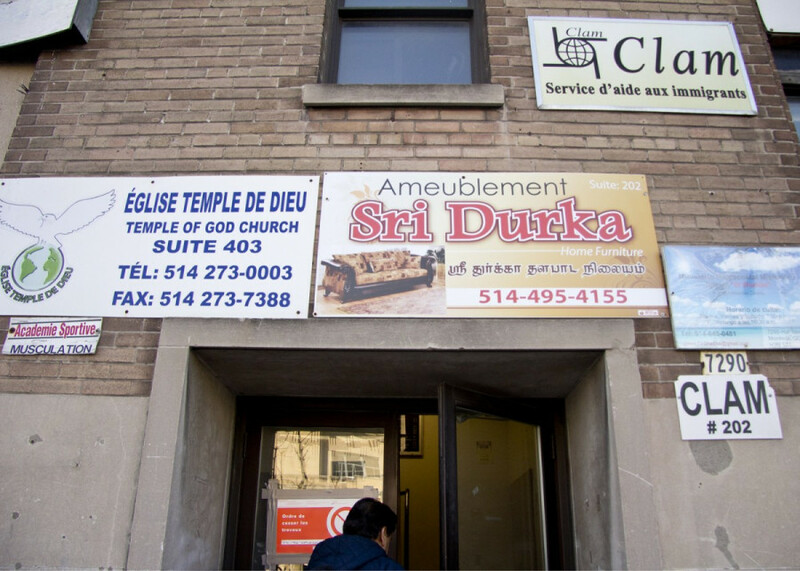 The largest of the remaining tenants is the Carrefour de Liaison et d’Aide Multiethnique, an immigrant and refugee resource centre, which also offers French-language courses. After receiving the first eviction notice, CLAM requested an extension to relocate its activities. CLAM declined to comment on the recent notice of utilities being shut down. The Link reached out to borough mayor Giuliana Fumagalli, but her office declined an interview. By email, they said they were following the situation closely and would ensure that no construction is done until the real estate developer “adjusted” its permit application. *Bernadette is a fictional name for the protester and resident of Parc-Extension, who is part of a grassroots group hoping to save Hutchison Plaza and to fight gentrification in the neighbourhood. She would only speak under conditions of anonymity to avoid legal repercussions.